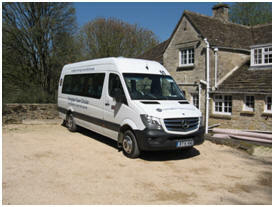 The Faringdon Community Bus is driven and run by volunteers. We believe this community service is valuable and worthwhile. Our passengers tell us so! Do you have a little spare time, or perhaps you are recently retired and wish to give a valuable service to the community. Or perhaps you know someone, just like many of us, who needs a ‘little push’ to come forward and join our team? The bus is straightforward to drive and full training will be given. Although welcome, no regular commitment is required, unless that is your wish. If you would like to join our team of volunteer drivers, helpers or supporters please telephone, see Contacts for name and telephone number.